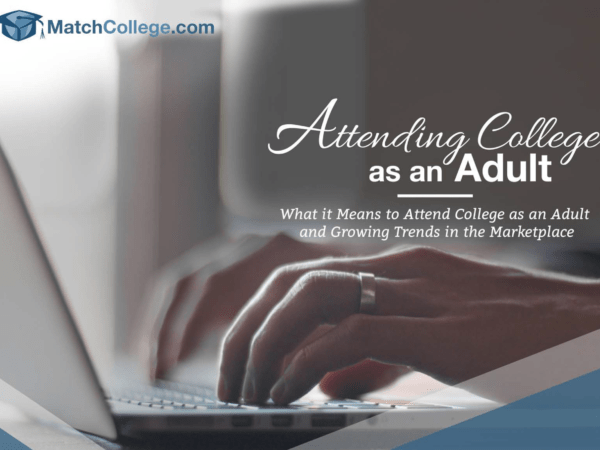 As time passes, we are seeing a growing number of adults attending college. Some adults are attending college for the first time, while others are returning to school. For those returning to school, it could be to complete a degree, earn an advanced degree, obtain a certification, or to achieve continuing education credits. Data suggests this trend of having adults attend college will only grow over time. In fact, an estimated 5 million adults (defined as those students over 22 years of age) will be enrolled in college by the year 2020. This trend begs the question: how will you respond to the growing demand from employers to earn a college education? In years’ past, the value of a college education was a challenge to quantify. Many would point to the intrinsic value of earning a degree or the feeling associated with accomplishing the graduation goal. In addition to the emotional value of earning a college degree, we know for a fact there is a significant monetary impact. More specifically, those that earn an associate college degree earn twice as much as those without a high school diploma. Likewise, a person earning a bachelor’s degree earns 130% more than an individual with a high school diploma. The secondary aspect of having a college degree resides in the data to support a higher level of employability. Put another way, having earned a college degree significantly reduces the unemployment rate thus helping stabilize income at a higher rate of pay than counterparts without a degree. Fascinating work by the Gates Foundation reveals a marked shift in the demographics around attending college. The study provides insight into the following demographic factors: gender, age, school type, race, enrollment, employment, financial aid, housing, family, and learning environment. Take the time to digest these significant changes and ask yourself how to best respond to the demand for additional college education. Just like the shift we are seeing in the demographics of college students, the changes in the job market also seem to be accelerating. Major trends based on the data gathered suggest adults are highly motivated to attend college to remain competitive and boost their potential earning power. In addition, 75% of respondents believe they will need additional college education to remain competitive in the next five years. Concurrently, the biggest challenge facing adults returning to college was cited as the overall cost, both direct and indirect. As the fastest growing segment in college, adult learners are striving earn college degrees and credits to remain competitive, upskill, and increase earning power. Colleges and universities across the country are adapting to this country-wide shift by adding more online learning courses and developing new learning models to support adult learners. The meta-theme to be used as the primary take-away is the life long learning mentality permeating the marketplace.